I tried to follow your instruction to beating the egg white. But i failed, i was using only ONE egg white this time. Is it too little for beating? 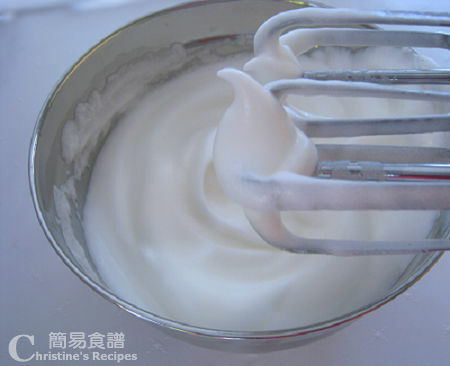 One egg white is too little, very difficult to create the volume. Yes, you can use lemon juice to stabilize the beaten egg whites. Normally, 4-5 egg whites (depends on how big are the eggs) add 2 teaspoons of lemon juice. I'm many times failed about fall chiffon. You using hand mixer for meringue to low or medium speed?